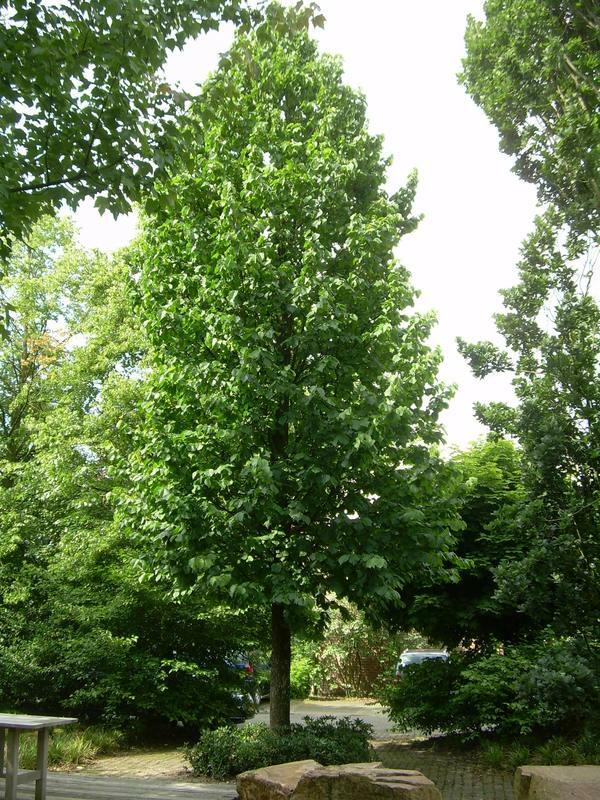 Corylus colurna, also known as Turkish Hazel, is a remarkable, tall, pyramid shaped and beautifully symmetrical tree with soft green foliage. Originating from regions of South East Europe and West Asia and has proven to grow well in the UK and Ireland since first being introduced back in the 16th century. The leaves of this tree are a soft bright green and are broadly heart shaped. During the early spring long, yellow catkins are produced, followed in the autumn by clusters of nuts, contained within frilly looking husks. The Turkish Hazels crowning feature is its rough, corky bark that develops as the tree matures. Its splendid size and habit make C. colurna the perfect choice for paddock and parkland planting as well as being used as an avenue tree. Corylus colurna is a tough contender, performing well on all soils; including chalk and clay. It has a wonderfully symmetrical shape, starting upright and broadening with age. The tree is very easy to maintain and is also resistant to heat, cold and drought making it useful is tough urban environments.